What is the difference between a Video Pro and a Quartz Lightbank? Video Pro lightbanks are suited for fixtures up to 1200-2000 watts, while Quartz lightbanks are suited for fixtures from 2000W-12000W. Video Pro lightbanks can be used with Video Pro sized speed rings, or Quartz speed rings setup with the QVP Adapter Poles (Part #4099). 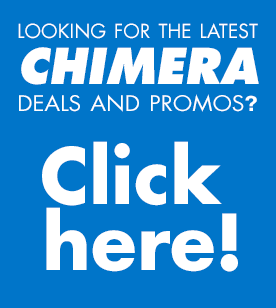 https://chimeralighting.com/wp-content/uploads/2017/08/chimera-lighting-logo-copy.png 0 0 Chimera Lighting https://chimeralighting.com/wp-content/uploads/2017/08/chimera-lighting-logo-copy.png Chimera Lighting2017-02-21 10:16:282017-07-03 13:36:54What is the difference between a Video Pro and a Quartz Lightbank? What is the difference between Standard and Shallow Depths? What is the difference between a Video Pro and a Daylite Lightbank?